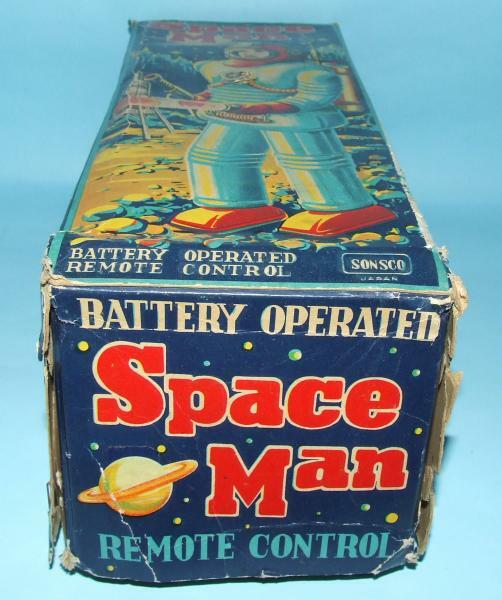 Extremely Rare Original, Vintage 1958 Sonsco Nomura Space Man Robot Battery Operated Remote Controlled Toy in the Original Box. Made in Japan by Nomura. 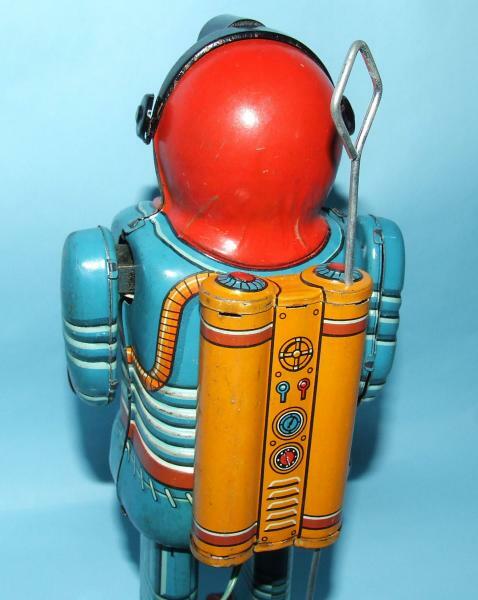 This is a very scarce desirable space toy that rarely comes up for sale. 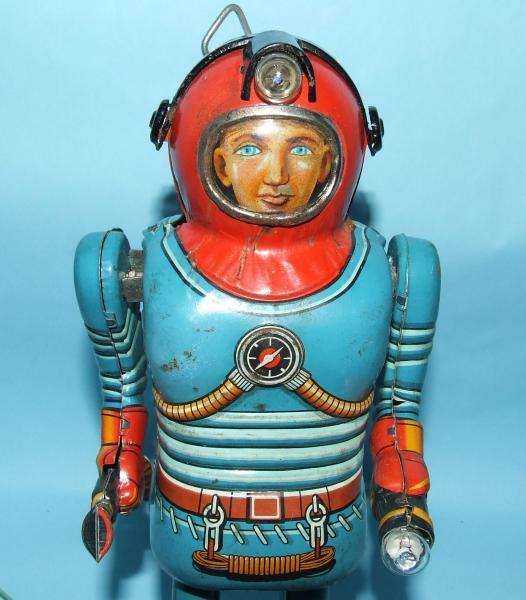 Sonsco was believed to be a small American or Japanese toy importer that was in business for only a few short months. 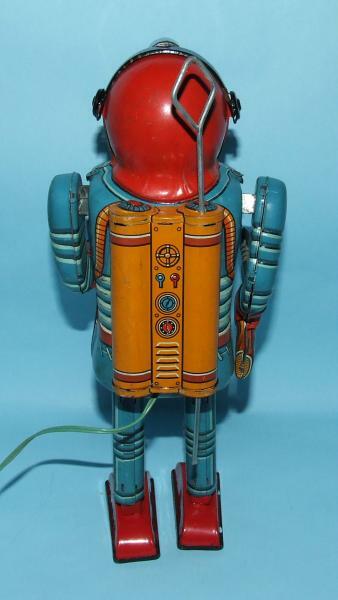 This is the reason why this robot is extremely rare. 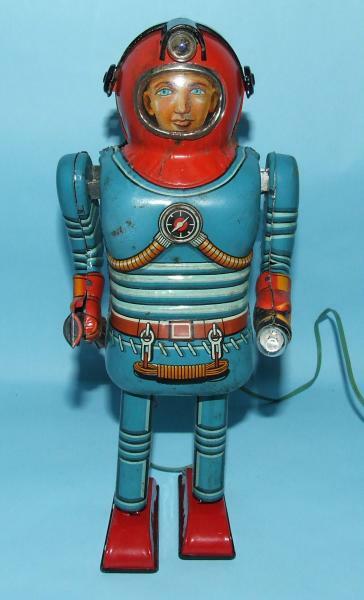 This toy is original, complete and in excellent plus condition. 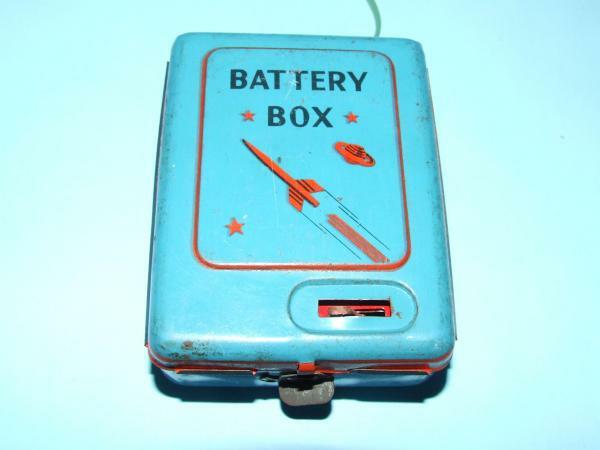 The battery compartment is clean and free of rust and corrosion except for a small area on the inside lid. There is a little bit of light surface rust that does not effect the operation or can not be seen when closed. It works great. 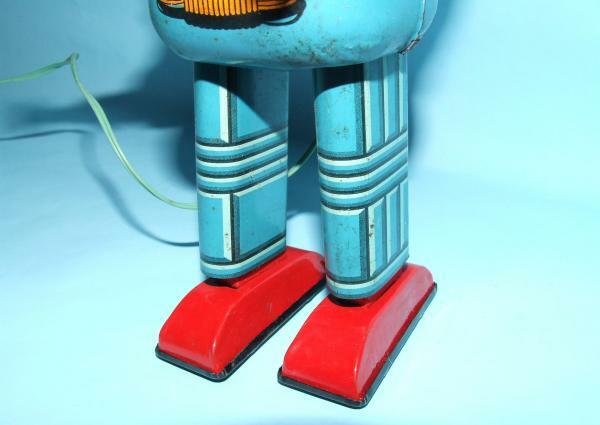 The robot walks forward with his arms alternately moving back and forth while his headlamp and flashlight both illuminate. 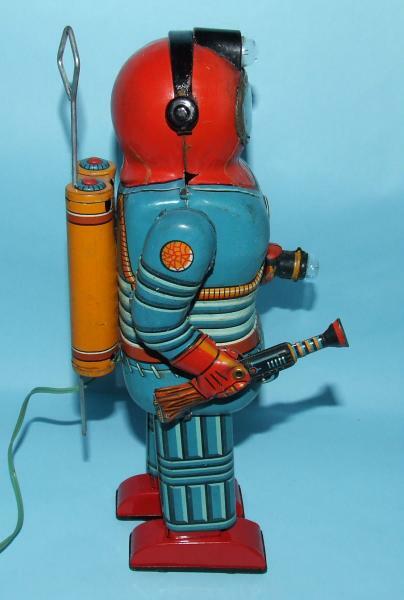 The TN Nomura toy logo and Made in Japan are printed on the robot and on the inside of the battery box. 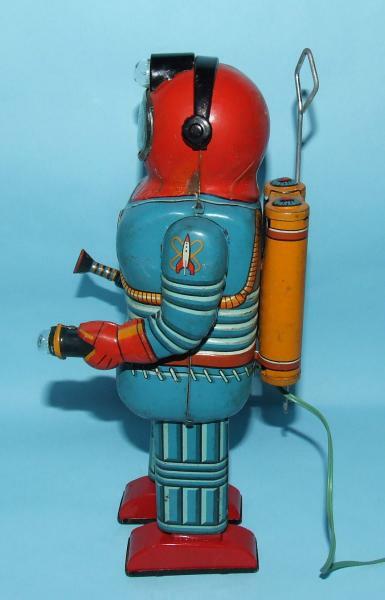 Measures 10" tall. 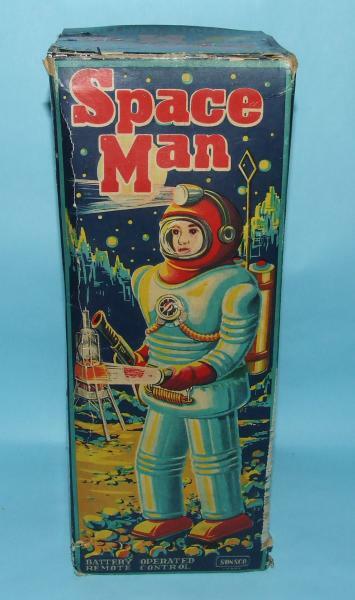 The rare, original illustrated box is complete including protective insert and in excellent condition. 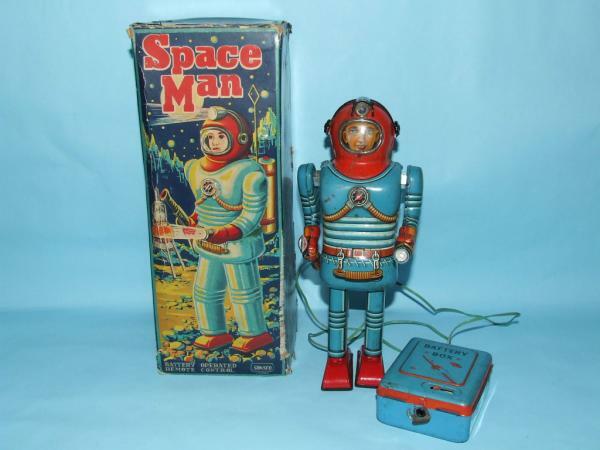 It features an outstanding space theme illustration of the actual toy exploring a new planet and displays perfect with the toy.